Microneedling, also called derma-needling is a collagen induction therapy. It is a minimally invasive skin-revitalization process that is carried out through a power hand device that contains very fine needles. The Microneedling Technique has gained huge popularity since past ten years. 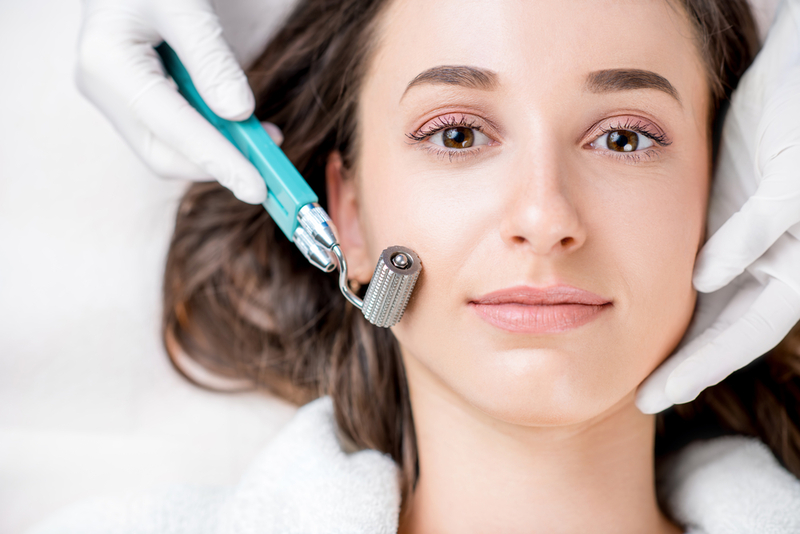 In this blog, we have written everything you need to know about microneedling and why it is right for you. What exactly is Micro needling? Micro-needling is a non-surgical technique that helps you revive your aged skin into smooth, youthful skin. The process is also known as derma needling. It is a simple hand tool that kind of looks like a paint roller covered in very tiny needles. The power hand tool is applied on a prepped with lidocaine gel skin. It creates tiny channels into dermis of skin to initiate the body’s natural healing process by boosting collagen and elastin. The end result is an improved smooth texture of skin, minimized fine lines, scars and hyperpigmentation. Though it’s not a skin resurfacing technique, however, improved dermal thickness can also help in reforming contour deformities and depressed scars. Once the final result is obtained, it is generally recommended to have one or two sessions a year to maintain the outcome. Microneedling is highly effective in removing aging signs. If you are suing the perfect serum for your skin along with the Microneedling can leave your skin supple and youthful. The process improves absorption of topical treatments to remove age spots and uneven skin tone with high efficacy. There is another huge advantage of Microneedling; it has the shortest recovery time following than any other long-lasting cosmetic procedures. The process actually helps the skin to heal faster. Is Microneedling safe to use? Along with the striking effects of micro needling, it also comes with a few risks that could be avoided if done with aesthetic expert’s help. 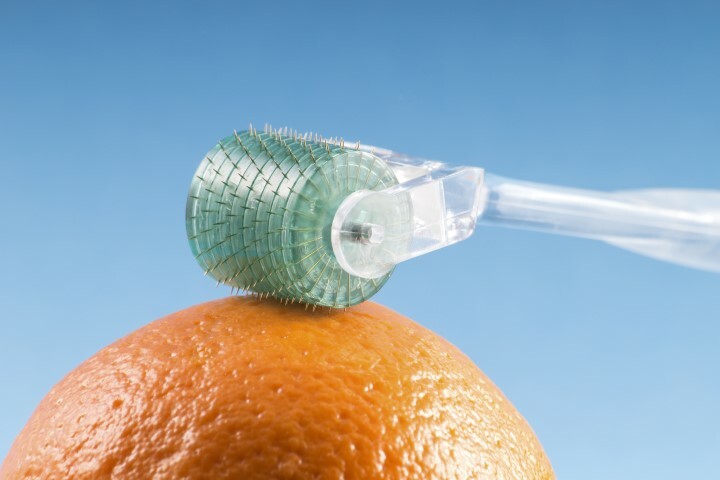 The most commonly seen of those risks is your skin getting irritated or inflamed after using microneedles. Make sure that you never microneedle the areas where there is active acne. Wait until the acne is 100% disappeared from your skin and then start to microneedle. If you have sensitive skin that you may experience redness. 1. Is microneedle safe to use at home? Although the process is safe, however, an expert’s help is always recommended to get the best results and avoid any side effect. 2. Will I notice anything after using micro needling? Yes, after the use of micro needling, you may experience a moderate amount of redness on your skin surface which usually disappears after 24 hours. 3. Is the treatment painful? Generally speaking, the treatment is not painful but the intensity of pain depends on the type of the skin you have and the amount of the intensity of the treatment. 4. What are the side effects of using microneedling? Uncountable producers of microneedling are performed every day around the world and not even single case reported side effects of this treatment. 5. What skin color does microneedle works? Microneedle is safe to use for any skin color and skin type. Rarely can you find yourself a safe and working anti-aging treatment that comes at a very affordable price. The anti-aging treatments that are in the market these days are highly expensive; also these treatments include surgeries and medications that come with massive side-effects. Micro Needling, however, is the only safe and non-invasive process that helps your body to produce natural collagen without any side effects. With time, the process of microneedling has evolved with less pain and quick result strategy. This innovative tool rejuvenates an aged, scarred skin into the young, soft and smooth skin with an added glow due to naturally reformed collagen activity. Get rid of the problematic skin issues and rejuvenate your skin texture through best microneedling at Tampa from AnnaEsthetics! A licensed and experienced aesthetician, full spa specialist in skin care and body treatments. Graduated from Beauty and Health Institute in 2014, has regularly been attending continuing education classes and presentations, getting the most contemporary knowledge and the newest methods in aesthetic industry. Anna is a caring, compassionate specialist who takes the time necessary to educate and evaluate her clients and discuss their concerns. She provides each of her clients a customized treatment plan that suits their needs. In addition Anna encourages her clients to make lifestyle changes to improve their health from inside out. Oily Skin? Top Best Tips for Treating!